Hello Great Alaska Music Festival fans! 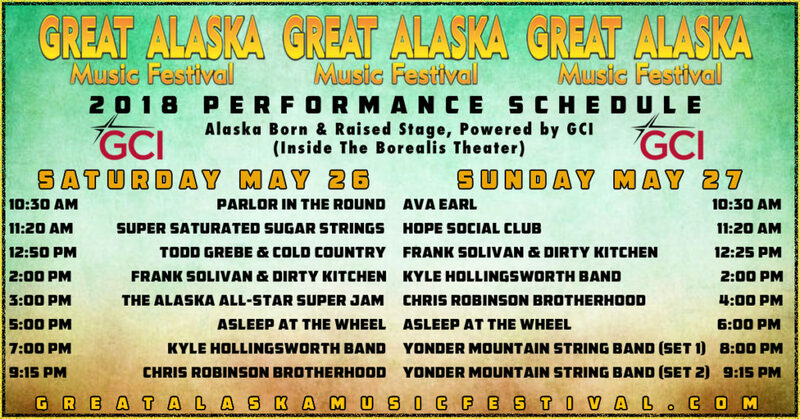 After our debut festival at the State Fairgrounds in May of 2018, Great Alaska Music Festival will be taking a hiatus in 2019. As music lovers, we have always had a long special commitment to bringing high quality music to Alaska. We intend to use this break as an opportunity to strengthen and expand our relationships to further our dedication to music and arts in Alaska. We have a dream to create a music & art festival that is even more unique, sustainable, and integrated into Alaska’s busy summer calendar. We are proud of the world-class festival we delivered for Alaska and are truly grateful for the support and admiration Great Alaska Music Festival received in its inaugural year. On behalf of all of the performers, GAMF staff, the Alaska State Fairgrounds crew and the Great Alaska Music Festival family, we thank you for coming out and making the Great Alaska Music Festival experience as incredible as it was! We thank the fans, artists, production, vendors, volunteers, the Alaska State Fairgrounds, our partners, sponsors and the town of Palmer.